Overview: The Moroccan Arabs of Libya, numbering 10,500, are Unengaged and Unreached. They are part of the Arab, Maghreb people cluster within the Arab World affinity bloc. Globally, this group totals 25,743,000 in 13 countries. Their primary language is Moroccan Arabic. 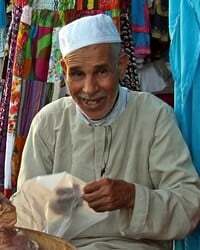 The primary religion practiced by the Moroccan Arabs is Sunni Islam, the largest branch of Islam. Sunni Muslims follow the teachings of the Qur'an and consider the first four caliphs to be the rightful successors of Muhammad.